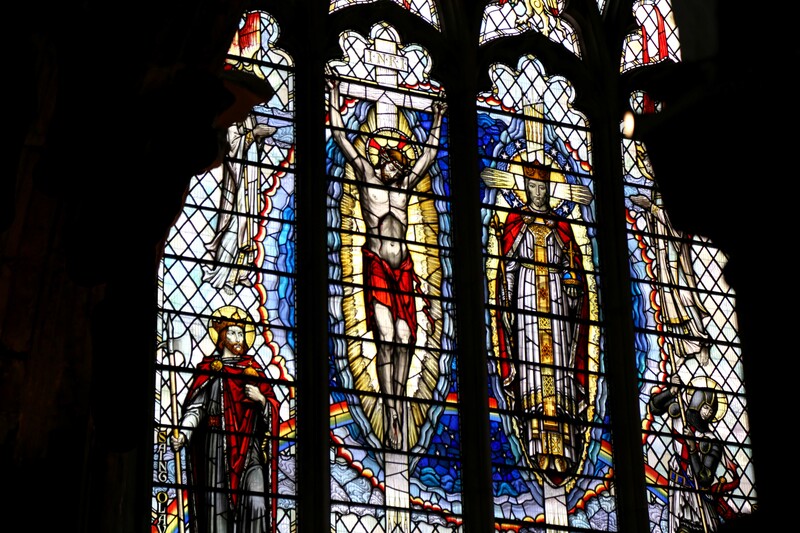 As part of the installation at St Mary’s there will be a short talk within the exhibition using the propaganda references to illustrate how Edith Cavell’s execution was used as a propaganda tool. 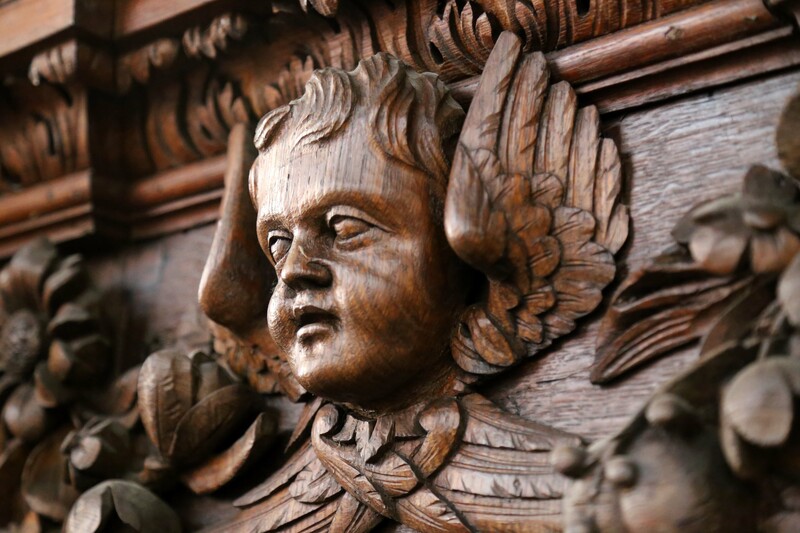 BRUSSELS AT DAWN is being hosted by St Mary’s Church, Stoke Newington Church Street, N16 9ES 2 – 12 November to coincide with Remembrance events. 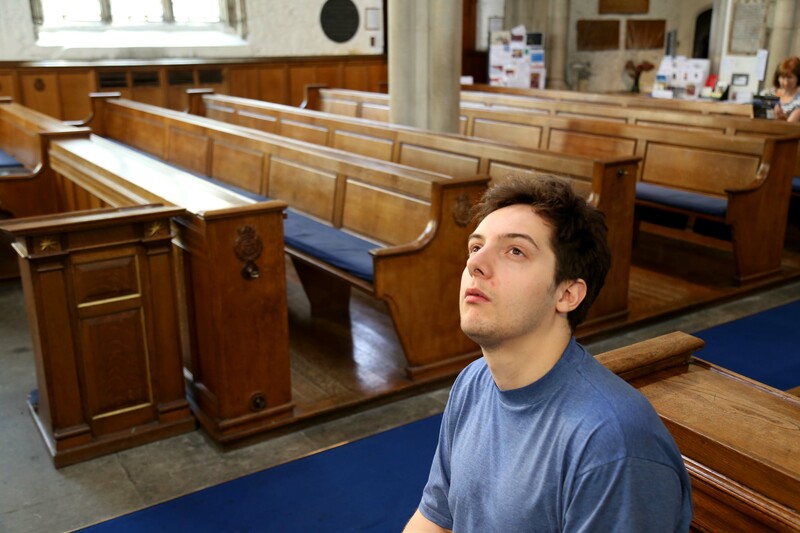 The installation will be a selection of the pieces previously exhibited at St Martin In The Fields. 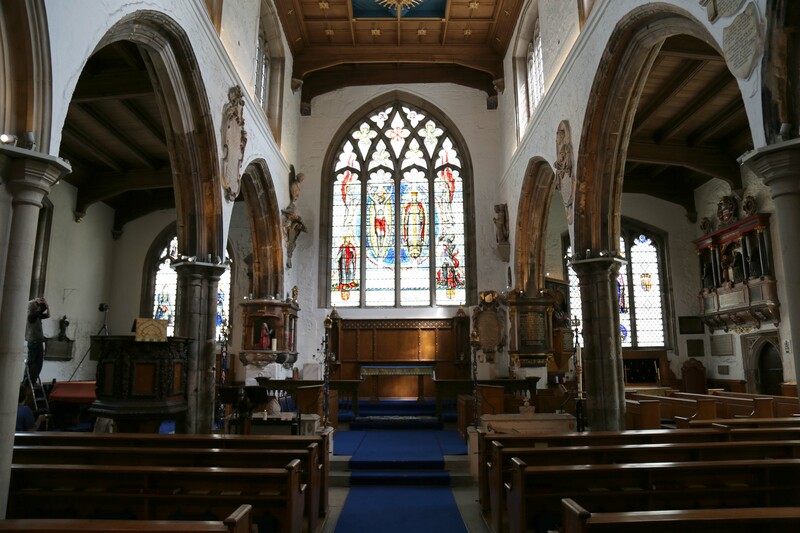 It is fitting that the community bring their work back to St Mary’s in Hackney as for many of our group it is their local church. We attended the wreath laying ceremony at Trafalgar Square. Some of our researchers dressed in WW1 nurses’ uniforms each laid a single white rose at the statue. Taking these Live Exhibits outside meant that many of the public who did not know what was going on could understand why so many had gathered to commemorate Edith Cavell. 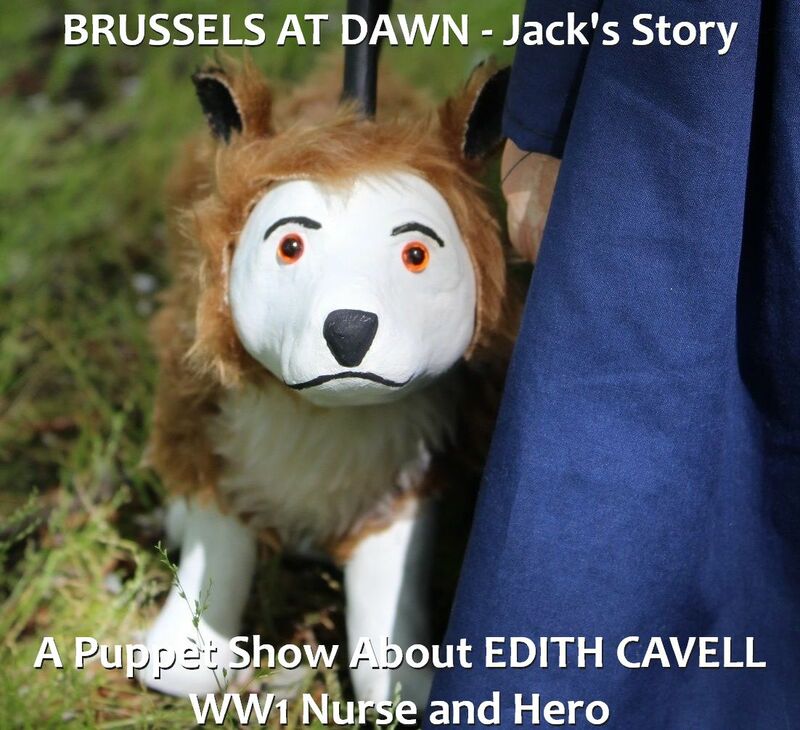 Some attended the Cavell Nurses’ Trust event in St Martin’s Hall and we also presented the puppet show BRUSSELS AT DAWN – Jack’s Story and gave away many, many copies of our booklets. It was a very moving day and we felt we did Edith Cavell’s memory proud. 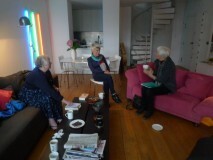 A team visited Diana Souhami in her home this month. 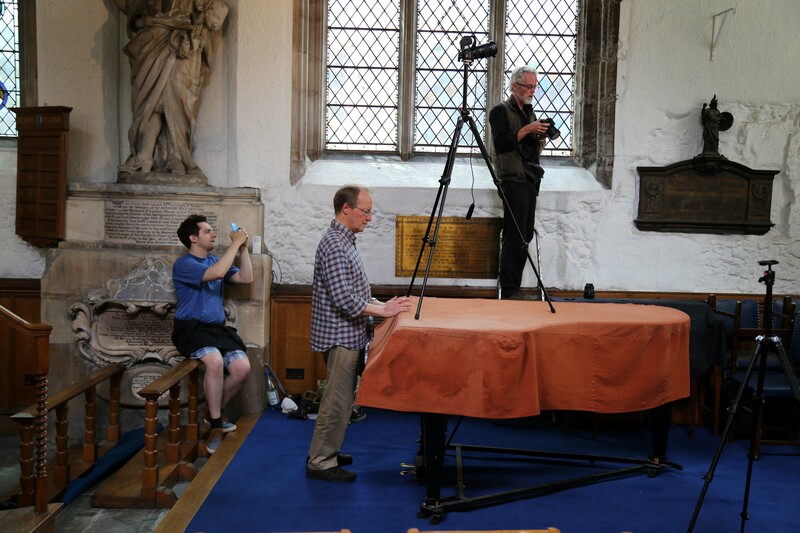 She kindly gave us a succession of interviews and allowed us to film and photograph the process. We will be posting the full interview here on the website. 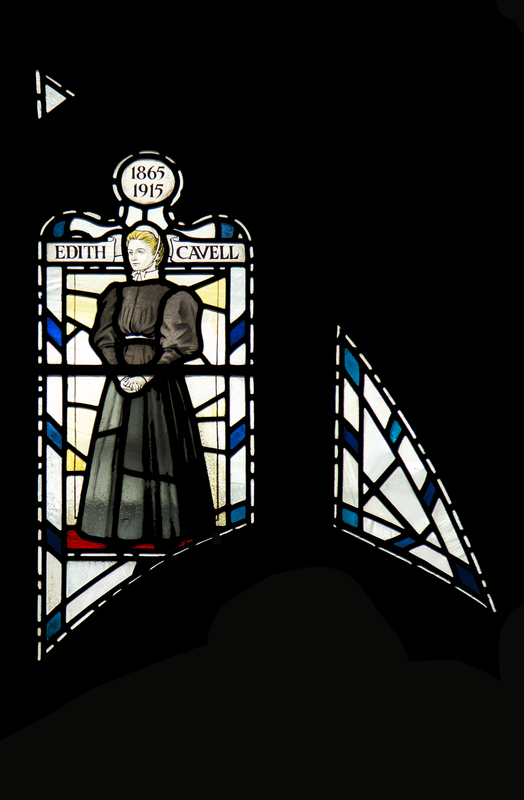 As part of our research we are gathering interviews about Edith Cavell’s life from the Belgian perspective. 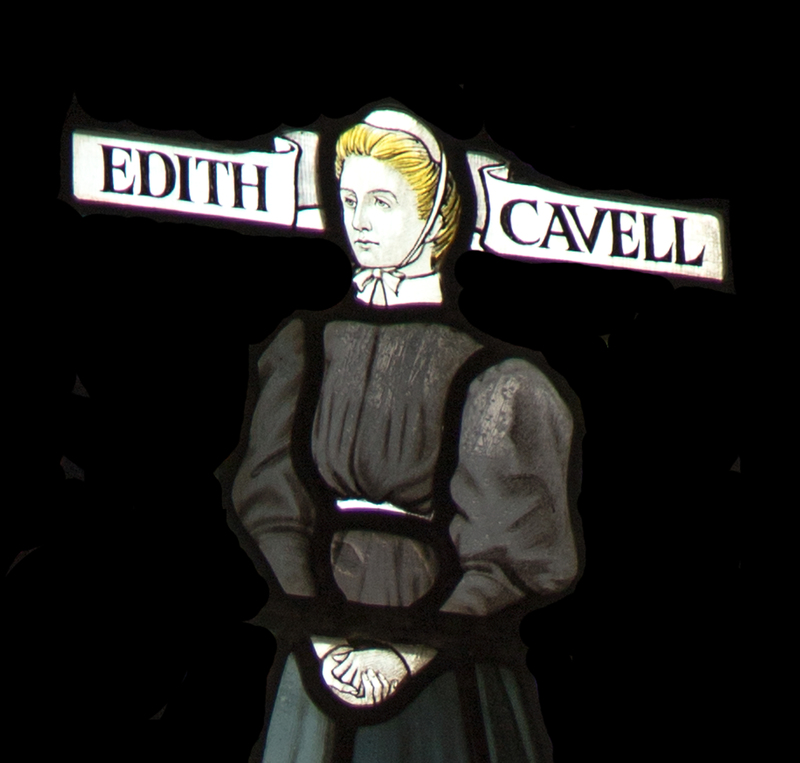 Edith Cavell is venerated in Brussels and the Belgian Ambassador in London is a supporter at many Cavell Nurses’ Trust Events. 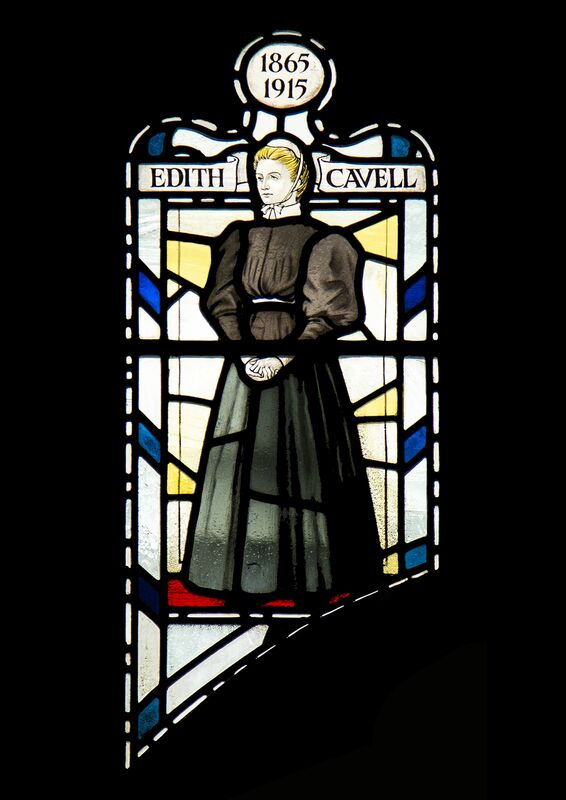 As part of our Heritage project BRUSSELS AT DAWN we are going to produce a community researched commemorative booklet about Edith Cavell. This will be available in hard copy from October 8 2015 and on our website in PDF format from 19 October 2015. To reserve a copy contact us via email on unityarts@hotmail.co.uk or via this website. 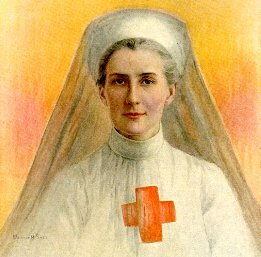 Supported by the Heritage Lottery Fund, Unity Arts will be mounting an exhibition to commemorate the 100th anniversary of the death of Edith Cavell. 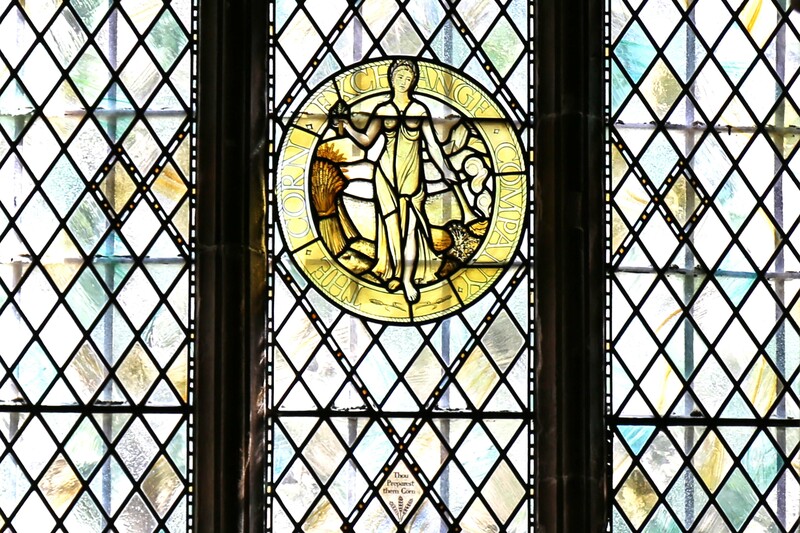 This installation will be a reflection of the discoveries made about this extraordinary woman by our community researchers, artists, curators and Heritage Team. 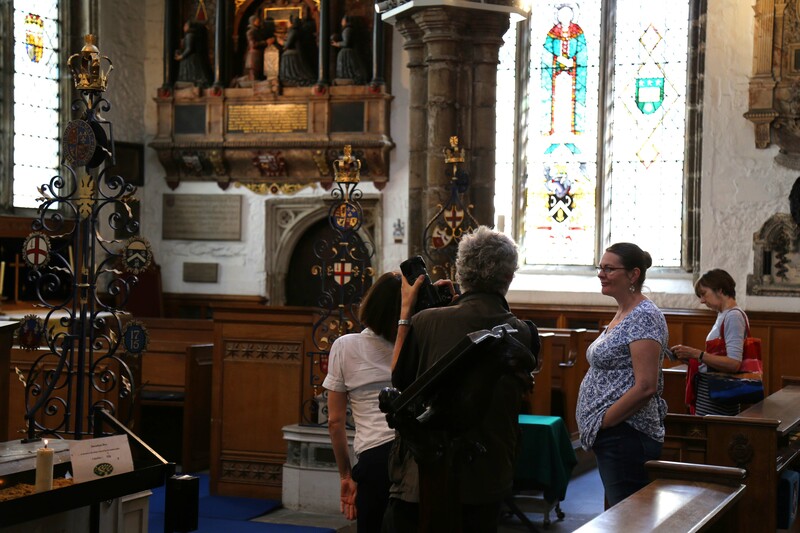 Live events will include a lunchtime monologue, a lunchtime talk, the puppet show Jack’s Story, Video Oral Histories and heritage presentations. We will also be offering all visitors a free commemorative booklet. Details about these events and the memorial service on 12 October to follow. 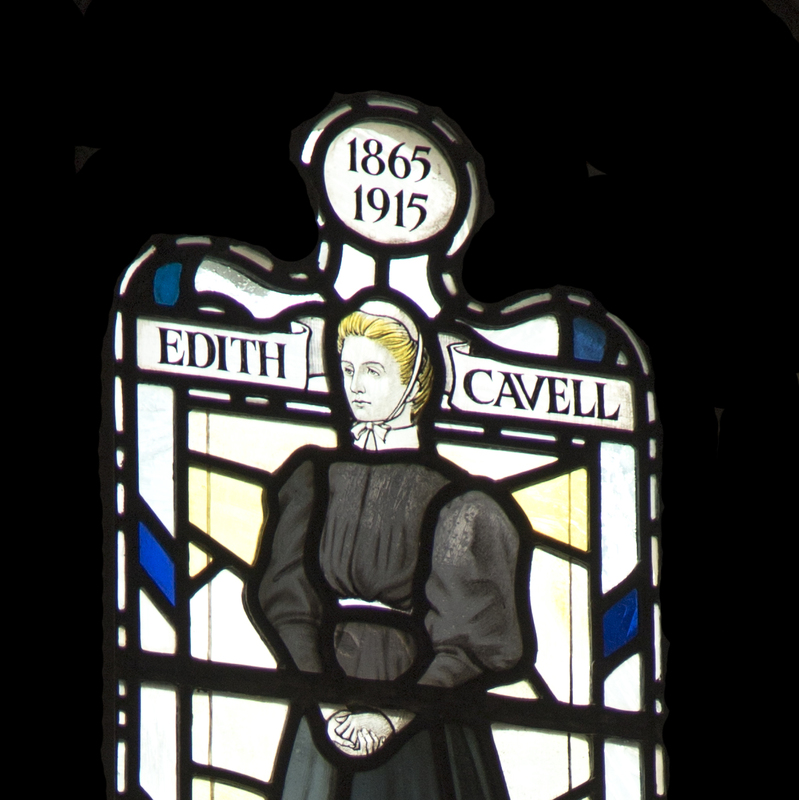 St Olave’s in Hart Street has a unique stained glass window of Edith Cavell. 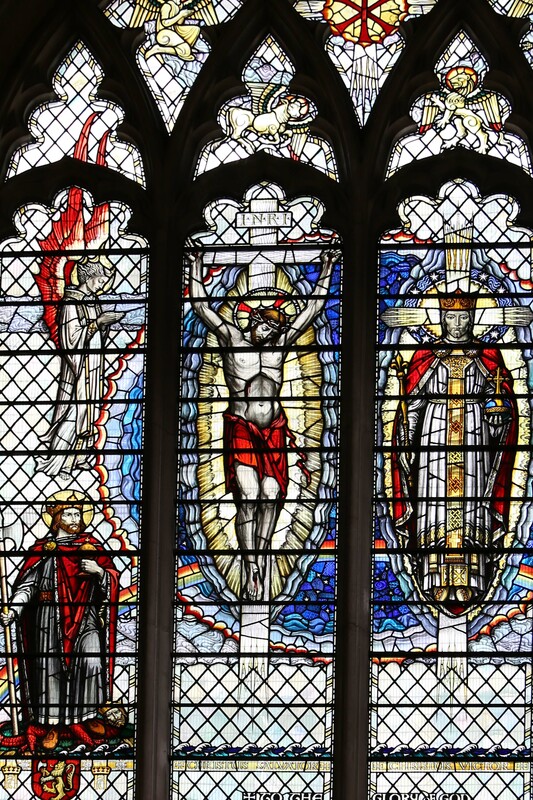 We have been given permission to use an image of this window as the cover on our commemorative booklet and posters to promote our events at St Martins in The Field 7- 18 October 2015. 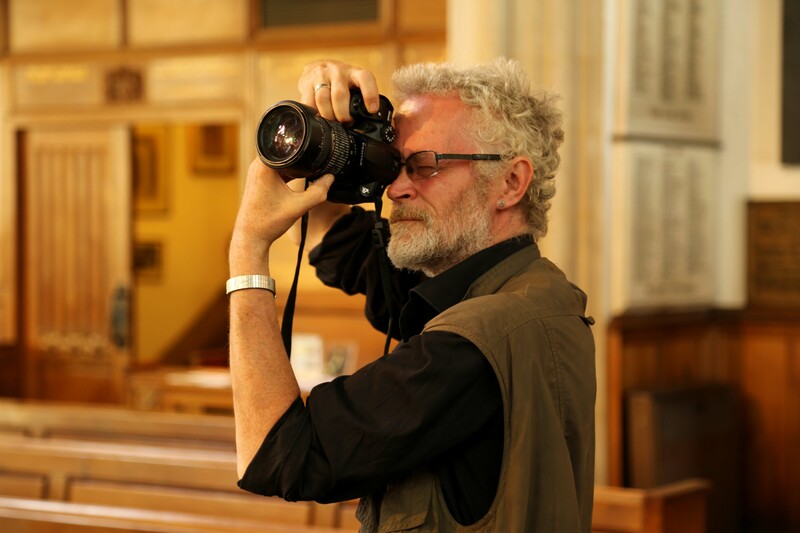 A photographic workshop led by espacion photography was held this month. Here are some of our results by Michael Cheetham, Dave Roberts, Jayne Walters, Thom Jackson and Phil Manning.